So, the word is another Polar Vortex is headed down, and we can already feel it here in Michigan. There is a serious chill in the air, and the briskness plus the earlier nightfall serve as a reminder that winter is right around the corner. What better time, then, to try out a bourbon that comes to us from the snowy slopes of the Rocky Mountains – Breckenridge Bourbon from Breckenridge, Colorado! Now, Breckenridge has been on the scene for a few years now, ever since it placed top three at the 2011 International Wine and Spirits Competition (in England). This has led to some pretty loud claims of excellence, and a close eye on their methods. As origin stories go, Breckenridge has a pretty darn good one. They tout the pure, melting Colorado snowmelt they use in proofing as one of their unique qualities – a shot across the bow to those who believe only Kentucky limestone water can make a proper bourbon. The award put them in a rarefied air as well, drawing comparisons to BTAC-grade products. What is very clear is their rye content. Breckenridge uses a 56/38/6 corn/rye/barley recipe. This certainly falls on the higher side. What is less clear is how Breckenridge comes to be. 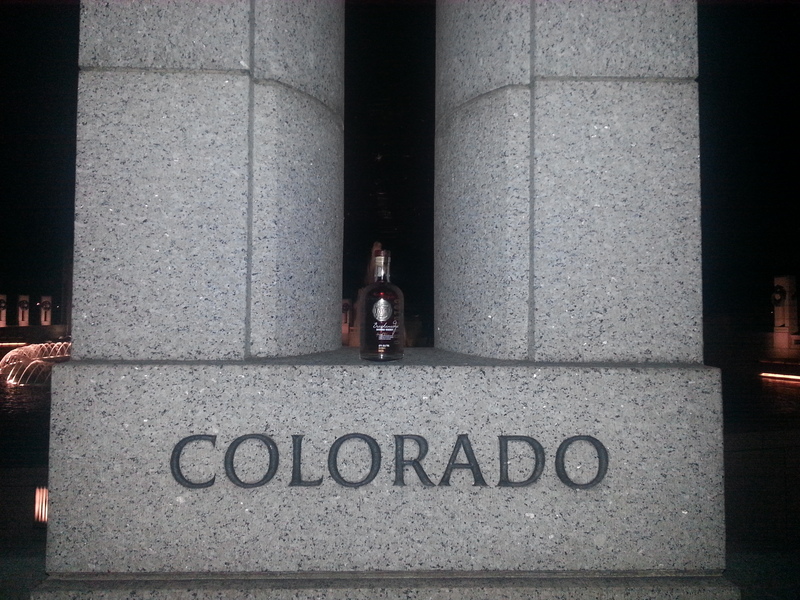 While some of their bourbon seems produced at their distillery proper (where they keep a custom 700 gallon Vendome combination Pot still, amongst others), they do reportedly source as well, and blend the native and sourced bourbon, before proofing it with their unique Colorado water at one of the highest altitudes of a distillery in the world. So, with a great story like this, what about the taste? I purchased my bottle in 2013, and it is different in that it is a Single Barrel selection (from Kakos Liquor in Birmingham). It certainly has a healthy amber color, and the nose was sweet and spicy. I noted a very hearty corn, but also raisin, hints of butterscotch and honey. and a touch of citrus. The taste was not as sweet as the nose. It was remarkably smooth, if obviously a bit on the young side (there is no age statement, but 3 years has been the buzz on the internet). It has a medium thick mouth feel, and the corn lives up front, alongside a slight tingle of rye. There was almost no presence of oakiness, and the back end was exactly what I’d expect from such a rye content – cinnamon, pepper and the slightest touch of leather. The finish, now thats where things got weird. It has a shorter than expected finish – the smoothness slides the taste away quickly. MAybe that’s because of youth. But both Jen and I noticed a bit of aftertaste, not unpleasant, but not easily identifiable. Was it minerals from the runoff snow? Was it a thicker mouth feel than it seemed? Do I need to wash my bourbon glasses better? It wasn’t the last – we tried different glasses. Jen jokingly called it a ‘splenda aftertaste – like diet bourbon!’ and that was a little bit what it was like. Unique. It’s nice to see Jen’s comments on your reviews!